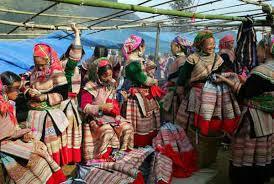 Pick up at your hotel in Hanoi, transfer to the train station to take the night train to Lao cai. The train leaves Hanoi around 20:30. Overnight on train. The train arrives at the Lao Cai train station at approximately 05:00 AM. 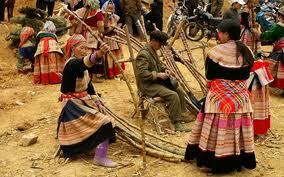 There will be a vehicle and tour guide waiting to transfer us to Sapa. The drive to Sapa is only 33 km but it takes around 1.5 hours to make our way up the mountains. Arrive Sapa and enjoy breakfast at the hotel ( There will be surcharge if require early check in ). From hotel, we then do the a tour with car and guide to the hill tribe villages of Cat Cat, and Sansaho village home to the H'mong hill tribes minority peoples. As we walk to the villages nestled in the valley below Sapa, we will meet some of the local minority people on their way to and from Sapa. Here we have the opportunity to share cultural experiences with the families that live in the area. Back to the hotel , check in, then enjoy lunch at local restaurant. This afternoon you travel by car toward the Silver Waterfall where you will be able to take a short walk to waterfall. You will then drive further to Heaven Gate, the highest peak of roads in Vietnam. From there you can see Fansipan, the highest peak of Indochina mountains as well as enjoy stunning views. The walk commences at a point nearby the waterfall, by a descent on a trail through bamboo forest, which belongs to Hoang Lien National Park. 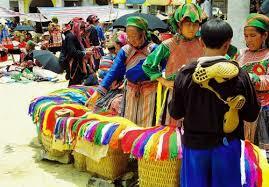 Tranfer back Sapa town. Overnight at hotel. After breakfast, we start the trip to the South East of Sapa alongside Muong Hoa valley to Y Linh Ho village, trek 2 km down to Lao Chai village, take picture of paddle field and visit minority house and school. The lovely walk that will take us along small paths and trails and through several hill tribe villages of Lao Chai and Tavan, home to H'mong, and Dzay people. This is a absolutely spectacular walk through stunning scenery inhabited by some of the friendliest people you can meet. Stopping for a lunch on the way at a family in Ta Van village. Opportunity to meet with local people and study the art of making batik and local weaving villages - study textile tradition of craft women o Black H'mong and Red Dzao. Today we will be guests in a traditional home stay. Overnight at homestay. Arrive in Lung Khau Nhin at about 09.30 am, right at the crowded time of the market. Join locals to enjoy the excitement of this weekly market to which local tribal peoples come to attend not only for shopping but also for socializing.Walk from section to sections, corner to corners, seeing and smelling of different local products such as spices; vegetable; farming tools; handicraft; and even medicinal herb…, meeting smiling peoples every where. 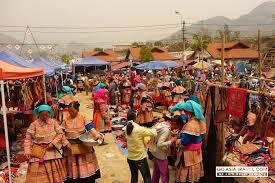 The market is often over at about 11.30 am, leaving the market place for 16 km road transfer to Cao Son, take a short walk to visit a village of the Flower Hmong before lunch break in Cao Son. Leave Cao Son after lunch for 25 km road trip on a narrow tarmac which winds its way along the Chay River up and down mountains and valleys through the wild and fabulous land; enjoy several photo stops and short walk to visit tribal hamlets before arriving to Coc Ly Bridge. Boarding a local boat and cruising along the Chay River for 1.5 hours to Trung Do village which is home to the Tay peoples, hiding itself on eastern bank amongst high mountains. Taking an hour walk around the village before taking the boat ride again briefly to Bao Nhai, ends up the boat trip here. 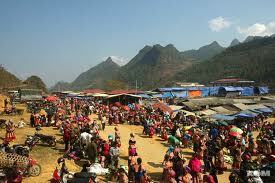 We then drive back Lao cai for night train back Hanoi. Overnight on train. Arrive in Hanoi early morning next day, around 05:00AM, please take a taxi to your hotel. End of tour. Thank you for travelling with Vietviewtravel. Mr. Prof. Dr. Miss. Ms. Mrs.